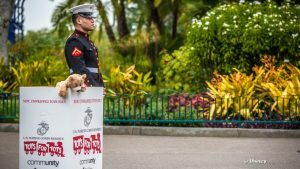 U.S. Marines will be on hand to collect new toys for the Toys for Tots program at Disneyland's Downtown Disney District this Saturday, Dec. 8, 10 a.m. to 5 p.m.
My next blog (presented over the next three days) will be a little different than my usual articles. I know you check out my webpage each week to learn more about the Disney parks, past and present. But occasionally I need a little break from all the magic. Believe it or not, I do not … Continue reading "A Brief History of Orlando (Part 1 of 3)"